Maybe you’ve come across an iCloud unlocker either when you were surfing the net for solutions to problems to iCloud or as a suggestion by a friend. It is important to know that it is an effective way of solving issues relating to iCloud and iPhone in general. Here, is what you should know about iCloud Unlocker Download if you need one. While the former is the most effective method/tool, the latter is an alternative which could be time-exhausting compared with the former one. However, both ways are helpful for an iDevice user. If you need something with maximum performance and perfect reliability, you should opt in for iMyFone LockWiper. This is the best tool for iCloud unlocker, and it does more than expected. It is interesting to know that it has several features and can be used on all iOS types of all iDevices. However, there is a limitation to which it can work, and that is: it only supports already-activated devices. It removes an Apple ID on any iDevice without passcode in few minutes. 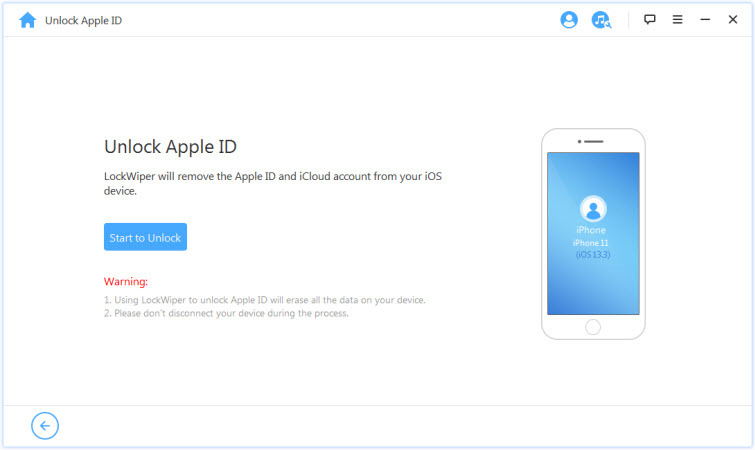 It supports the removal of an Apple account and iCloud account from devices such as iPhone, iPad, etc. It is self-operating and does not require a technical know-how. It works perfectly on all iOS version types of any existing device. It gives direct access to iCloud services and allows users to explore all features on the device. When you forgot the iCloud password, and you have to recover or create a new password. When you want to retrieve Apple ID as you forgot the password. When you want to unlock Apple ID by removing the account. We have talked and praised the tool for what it is; it is time to understand how it works or how it should be done to attain perfection. Step 1. Download the application on a Mac or Windows Computer. Step 2. Choose a mode – “Unlock Apple ID” and proceed by clicking “Start to Unlock”. Step 3. After that, it will start unlocking your iCloud account. Step 4. 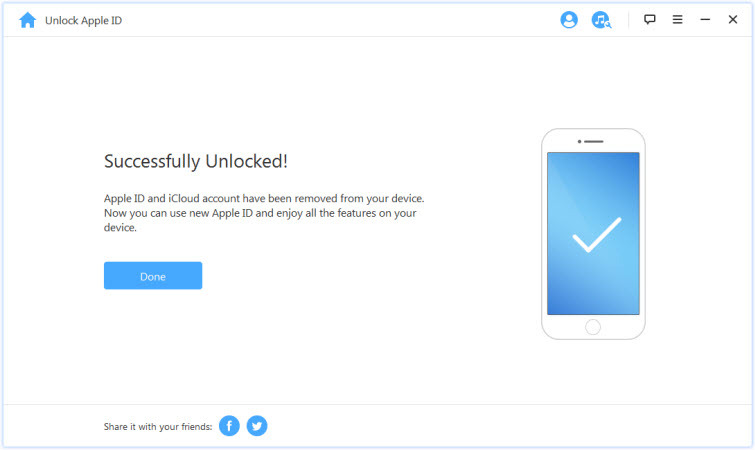 Just a few seconds, your iCloud account will be removed from your phone successffuly. Note: The first thing you should do is to download and try out the iCloud unlocker before doing anything, after unlocking iCloud by removing it, you can now set up a new one and have access to several new features on your iPhone. Here, you don’t need software to unlock iCloud, all you need to do is open online, and that means, you need an internet connection. Other things you need is an IMEI number and a valid payment option for the services you are opting-in for. On the maximum, you will need to spend to fix the problem and await a favorable response/result within 24 to 72 hours. Step 1: Visit officialiphoneunlock.co.u on any web browser. 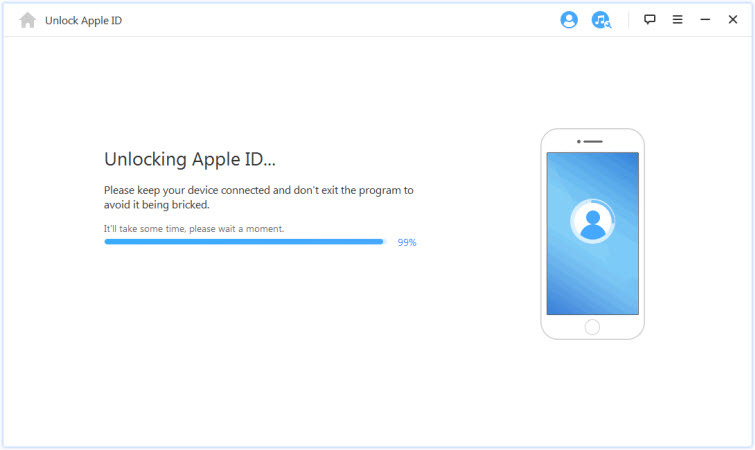 Step 2: Input the model of your iPhone, IMEI number and network which your device is connected to. Step 3: Click “Add to Cart” option on the page. Step 4: Enter your contact details and add a valid email address. Step 5: Select mode of payment, i.e., Visa, Mastercard or American Express. Step 6: Make payments and await notification that payment has been confirmed. Step 7: Await response within 24 to 72 hours after payment. Step 8: Response comes in the form of an email reporting the success of the free iCloud account. You need to pay for the online service before you can make sure you get what you need. There is no guarantee on the successful rate and the money back policy. As shown above, iMyFone LockWiper is the best iCloud unlocker download you can afford to do for yourself. It is fast, easy and doesn’t require you making payments or waiting for a response for days like when unlocking online. All you have to do is; Download, Install, Launch and put into action.